Already certified to PCI 2.x, this online and offline certified S90 is a compact, secure and ruggedized payment terminal capable of processing payments anywhere a wireless connection is available. 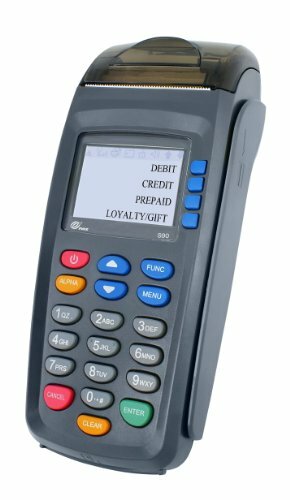 Equipped with a powerful CPU, large memory, long-lasting Li-Ion battery, and a high-speed thermal printer, the S90 is an ideal payment device for use in transportation and delivery services, airline in-flight services, parking services, mobile vendors, and any application where internet and telephone connectivity is unavailable. The S90 supports store-and-forward and up to 23 payment applications, making this a powerful solution for all business applications. This version does not feature CDMA. If you have any questions about this product by S90, contact us by completing and submitting the form below. If you are looking for a specif part number, please include it with your message.